Wrinkles are one of the most common skin issues that are recognized through creases, folds, or ridges in the skin. They most commonly appear as people age. 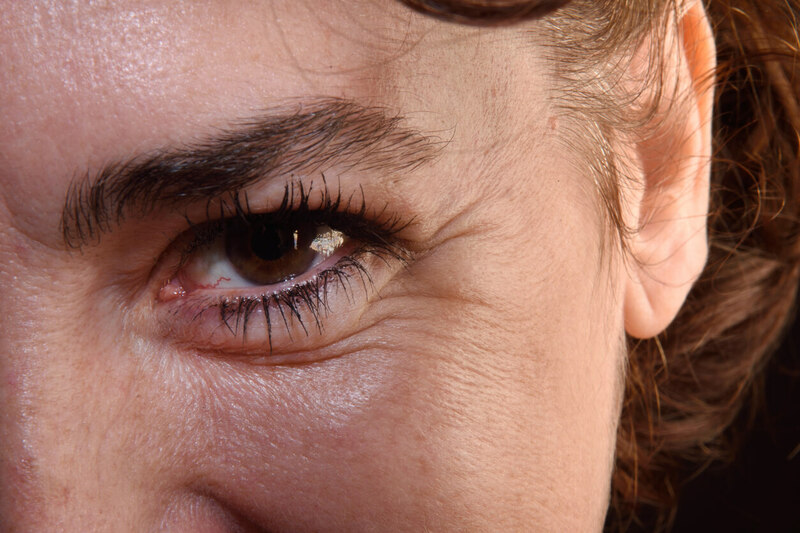 Wrinkles around the eyes and mouth are a noticeably early indication of aging and wrinkles emerging. Wrinkles are unwanted and unsatisfying as they can cause an aged look and make one look older then they actually are. Sadly, when our skin starts to age, the dead skin cells don’t have the ability to shed themselves proficiently. So due to this leisurely cell turnover, the end result is that the skin appears unappealing and uneven. The top layer of the skin, which is the epidermis – fine lines are also susceptible to developing as a result of damaged skin cells. When you reach your mid-20’s, the innate aging process starts to change the skin’s capability to restore itself. The construction of collagen and protein fibers begin to slow down and therefore this allows wrinkles to form. Other causes that contribute to the appearance of wrinkles are sun damage, smoking, dehydration and environmental and genetic factors. Wrinkles commonly appear on the face and neck, as they receive a lot of exposure to the sun. In addition, since we partake in repeated movements with our muscles, wrinkles tend to develop in the upper layers of our skin. Squinting in the sun regularly and frowning can eventually set in fine lines, making us appear older and tired. To add, there’s also innovative research that signifies that the condition of your skin points towards the state of your brain. Which means, that the more wrinkles we have, the more quickly our brains are aging. The appearance of wrinkles can be enhanced with treatments, such as microdermabrasion, chemical peels, Dermal Fillers and a Botox Injection. Botox has become one of the most popular methods for wrinkle removal, worldwide. In addition, the positive effects of a Botox treatment lasts a long time. Laser-resurfacing technology has been introduced since the 80’s and it has been recognized as one of the most successful treatments for getting rid of wrinkles. Our non-surgical, non-invasive and cosmetic injectable wrinkle treatments make beautiful skin happen and sustain incredible results. At Mederm Esthetics &amp; Laser, we utilize the Palomar fractional laser to cater to moderate and deep wrinkles. In combination with these treatments you can also use cosmetic creams to further improve the process. The treatment is performed with fractional non-ablative lasers. Non-ablative lasers are light-based treatments that enter the skin without visible wounding. The handpiece releases many microbeams, which produce thin deep columns of tissue coagulation that enter well underneath the epidermis and into the dermis. Microdermabrasion in effect eliminates the stratum cornium, showcasing the younger and healthier skin cells beneath. Nevertheless, since microdermabrasion does not arrive at the dermis– the lower level of the skin– it is improbable that will manufacture major changes in wrinkles that are deep. But on a positive note, the treatment does allow the skin to produce more collagen, which can decrease the growth of more prominent lines. To perform the microdermabrasion procedure, your skin case expert will use a particular tool that shoots aluminum oxide crystals at the exterior of the skin. This process allows for reduction of dead skin cells that produce the stratum cornium. Botox injections are one of the most well known cosmetic treatments performed and used to treat the reduction of facial lines and wrinkles. Although Botox is effective, at the same time, the effects are not permanent. Results are known to remain for about 3-4 months, and at the end of the day, everyone’s body is different and can respond differently to the medication. Furthermore, is a popular treatment choice for forehead lines and wrinkles, and frown lines. Frown lines are unattractive, as they produce angry-looking lines stuck between the eyebrows. These are formed mainly because of continuous facial expressions such as frowning. So next time you want to frown, turn it upside down as it can lead to unwanted wrinkles. Interestingly enough, Botox also treats migraine headaches and excessive sweating, which is called hyperhidrosis. A Dermal Filler Injection is another common treatment that uses hyaluronic acid to radically eliminate the appearance of wrinkles that occur around the mouth. It is also known to treat deep wrinkles. They are normally referred to as smoker’s lines. In regards to how dermal fillers work, they function as collagen substitutions. When injected, they usually ample up the skin to smooth it out. The key concept of the process is increasing collagen stimulation beneath the skin’s surface so that noticeable anti-aging effects are achieved. Call Mederm Esthetics &amp; Laser in Vaughan, Woodbridge and Concord to schedule a complimentary one-on-one consultation today. We will inspect your skin, discuss your issues and wants and needs and provide a treatment that is best for you.